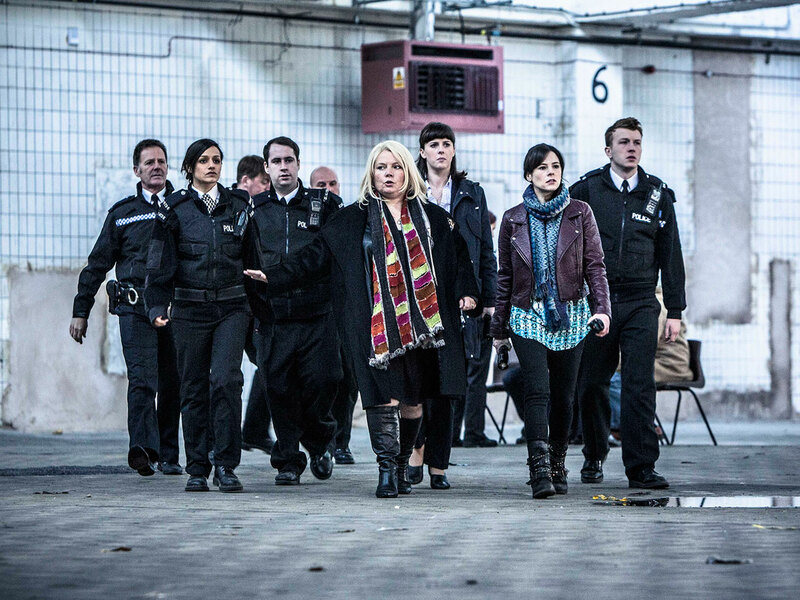 Season 1 of No Offence by BAFTA award-winning writer Paul Abbott is out on DVD on August 10. To celebrate the release of the outrageously rude, critically acclaimed cop comedy drama we’re giving TVDaily.com users the chance to win one of FIVE No Offence: Season 1 DVDs! The jet black comedy, which aired on Channel 4 on Tuesday nights at 9pm, features a raucous, riotous, razor sharp script and completely original take on the world of the police procedural, through Abbot’s larger than life characters who find unconventional ways to crack crimes in Manchester. Set in an brow-beaten cop shop on the wrong side of Manchester, No Offence follows a police squad on the front line as they tackle everyday crime amongst an on-going serial murder investigation that pushes the brilliant but unhinged DI Vivienne Deering (Joanna Scanlon) and her right-hand women DC Dinah Kowalska (Elaine Cassidy) and DS Joy Freers (Alexandra Roach) into places they didn’t know existed or ever wanted to go. For your chance to win one of five No Offence: Season 1 on DVD, please answer the following question.